Stakeholders do not agree on whether or not the EU’s goal of reducing food waste by 50 percent is enough, or if concrete and legally binding legislation is needed to diminish the growing amount of food waste. The European Commission and the 28 member states have adopted a new Circular Economy Package to help European businesses and consumers to make the transition to a greener economy. As a part of this package the EU has committed to the United Nations goal of halving food waste by 2030. Even though this commitment is not legally binding, the European Commission has set up a number of initiatives to help achieve the goal. These initiatives mostly focus on knowledge sharing between stakeholders and creating common ways of measuring food waste as well as a platform for discussing food waste. According to Marco Valetta, Member of Cabinet in The Health and Food Safety Commission, these initiatives are the best way to encourage member states to tackle the problem with food waste in their own countries instead of imposing legislation from an EU level. According to Annette Schneider, Environment Counselor at the Danish Representation to the European Union, the issue of voluntary agreements versus legislation is a political question. Even though she points out that countries like Denmark has improved a lot on the food waste area solely through campaigns and voluntary agreements rather than hard law, Annette Schneider still emphasizes the importance of binding agreements on an EU level. “In some areas it might even be better to set goals instead of legislating, but speaking from an environmental point of view, I think we would prefer some more targeting and force. We think that there is too much talk and not enough action,” says Annette Schneider. Plenty of goals have been set by EU to diminish food waste, but meeting these can prove difficult as the problem is biggest at consumer level. In Europe almost 90 million tons of food are wasted every year. Half of this food waste is produced in households. That means that each EU citizen in average throws out 92 kilograms of food every year. Although experts and policy makers doubt whether or not the EU can do anything about the food being wasted in our own homes, the different EU authorities continually work to diminish the growing amount of food being wasted. Along with a UN goal of halving the amount of food being wasted by 2030, food waste prevention is also included in the European Commission’s Circular Economy Package to move Europe’s economy in a more sustainable direction. The action plan for the Circular Economy has already been approved in both the European Parliament and the Council of Ministers. In June this year the Council of Ministers also approved a number of conclusions on food waste and food loss supporting the European Commission’s ambitions for a circular economy and recommending member states to take action. According to experts there are several reasons behind the increasing amount of food being wasted in Europe. A report by the EU food waste platform, FUSIONS, shows that more than 50 percent of food wasted in the EU is produced in households. 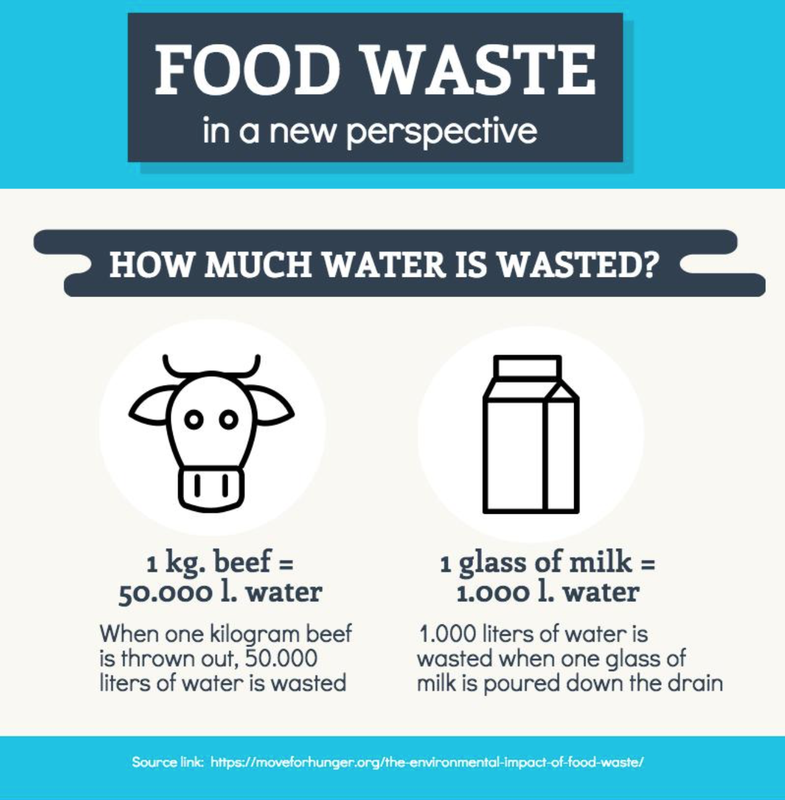 That is more than the food wasted in the production and the processing combined. 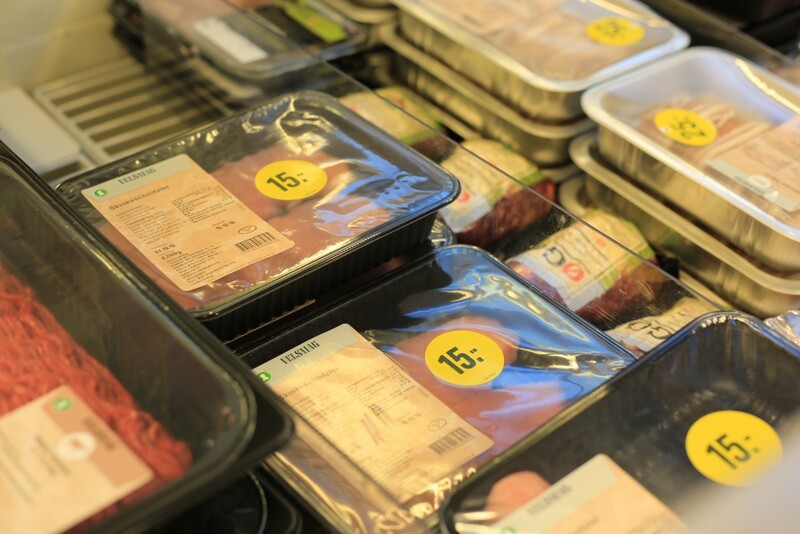 Assistant Professor from the Department of Food and Resource Economics at Copenhagen University, Ramona Teuber, points out that the increasing amounts of food waste in the households are caused by the behaviour among the European consumers. In relation to this it is becoming more affordable for the consumers to buy new products instead of re-using. This is caused by a number of agricultural policy reforms in the EU that have distorted the balance between supply and demand and pushed the prices down. The Food and Agricultural Organization of the United Nations (FAO) have raised concern about these agricultural policies, as they let farmers decide how much they want to produce. The amount of food being wasted in Europe annually is equivalent of 143 billion euros, concludes FUSIONS. Therefore, the European Commission’s Circular Economy Package has a clear focus on the economic aspect of food waste. However, according to Magrete Auken, Member of Parliament for The Greens, it is also important to consider the environmental factors such as CO2 and phosphor emissions. “The problem (with the Circular Economy Package, red.) is that the current Commission has no interest in the environment, and it shows that it is not something they are passionate about,” she says. Statistic from FAO show that the Member of Parliament’s concern about the environment is not without reason. Globally food waste accounts for 3.3 billion tons of greenhouse gasses.This amount is more than twice the total greenhouse gas emissions of all American road transportation. If integrated into a country ranking of top emitters, food waste would appear third after USA and China. In Denmark, it is mandatory for supermarkets to keep eggs refrigerated. In all other EU countries it is not. Temperatures under 12 degrees celsius extend the eggs ‘best before’-date and ultimately prevents food waste. This is just one example of the inconsistency in the food regulation laws between the 28 member states. Another example of this is the new law passed in France this year. The law makes the supermarkets and retailers responsible for cooperating with food banks or other NGO’s in order to use food that is close to the expiration date. This can possibly have a big impact, as 23 out of the 88 million tons of food wasted are potentially recoverable according to the European Federation of Food Banks (FEBA). As several countries have already tested different approaches to food waste, one of the obvious roles of the EU institutions is to be a platform for knowledge sharing. This has already been set into motion both with the FUSIONS platform and with the creation of a new expert group that will meet in the end of November. This expert group will consist of representatives from member states as well as NGO’s and interest groups. One of these representatives is the before mentioned federation FEBA, who believes that member states can benefit and learn from each others experiences. “When one country takes action, like in France, it will encourage other countries to take similar initiative in dealing with food waste in their countries,” says Patrick Alix, Secretary General in FEBA. Common for both the European Commission, the European Parliament and various NGO’s is that they acknowledge the fact that legislation can only be made at processing, production, and retail level. At the same time, they point out that the biggest issue lies elsewhere; namely in the European households. Therefore the role of the EU is not only to legislate but also to share knowledge and provide information to all stakeholders. “As a Commission we need to create tools for member states and others, because reducing food waste is the responsibility of everybody. Consumers and retailers can probably do as much as member states or we as the European Commission can by imposing legislation,” says Marco Valetta. FUSIONS, a food waste platform supported by the European Commission, has detected more than 100 different definitions of food waste among their members. 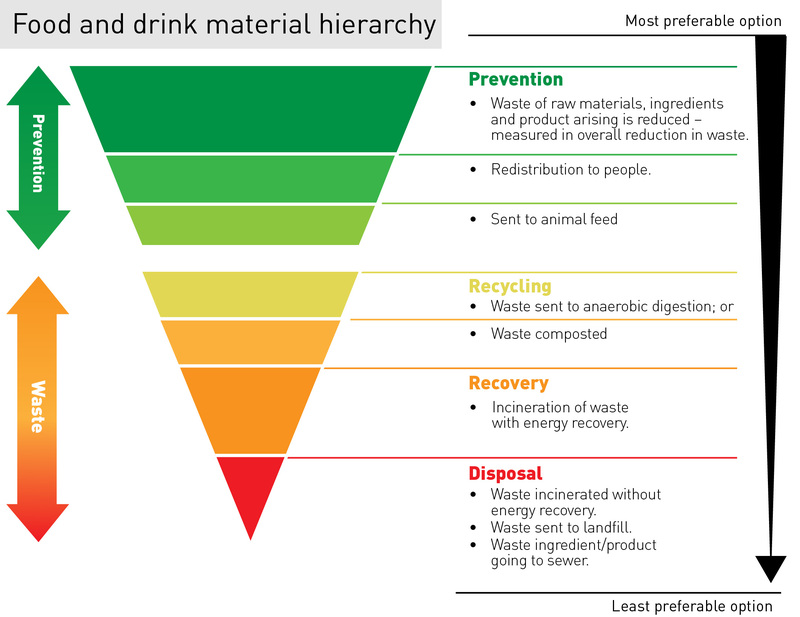 The different definitions and measurement protocols make it difficult – and sometimes impossible – for the European Commission and the individual member states to make food waste legislation based on comparison of studies, systems and countries as these are all based on different definitions and measurements of data. According to Patrick Alix, Secretary General of the European Federation of Food Banks (FEBA), the confusion about the term also creates problems for the different stakeholders dealing with food waste. “If there is no clear definition food waste, and it is not measured in the same ways, then we as food banks can not manage it correctly. Therefore, we want to eliminate the different interpretations of the food waste term that rules in the different countries,” says Patrick Alix. “At the European level we do not have a fully fletched definition of food waste. Whether we should introduce a specific definition is one of the issues currently being discussed in The Council and The Parliament. One of the problems is that different stakeholders do not agree at which point of the food chain we start to consider food as waste,” says Marco Valetta.